How to use Git on Android? I have a desktop application using git for synchronization. I have also an android application which do the same as the desktop, but I don't know how to do the synchronization part on it. I haven't found any implementation of git on android. I found a jgit, but its unwell documented and I was not able to do even a commit with that. 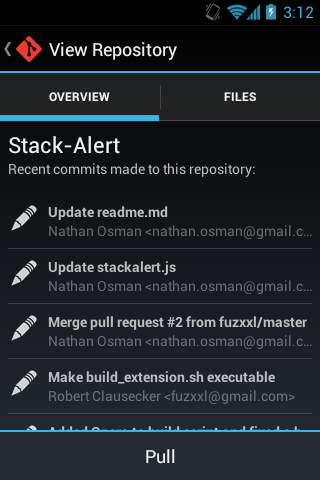 I was thinking about remote commands to my git server from my android app, but this is really a tease for me. Could you tell me if any other git implementation which can be used on android exists? If you have any idea how to solve that, please tell me. Another option is using ASE. There seems to be a full-featured pure python implementation of git at https://github.com/jelmer/dulwich. Since this question was first posted, an Android app has been added to the market that can checkout Git repos, called Agit. It can't commit or push yet, but the clone/fetch/pull functionality is useful. The other issue is that a patched version of ConnectBot needs to be installed before Agit if you want to use SSH keys. If you already have ConnectBot, uninstall it first. I did not do this and ran into problems. The Android Java IDE AIDE also has git functionality, so you can download from a git directory and if its an Android app modify and run it aswell. I would suggest to take a look at Gidder. It's Git server implementation for Android with user and repository management and also support dynamic DNS. You can easily store your code in your Android device and access using a WiFi connection. Pocket Git supports SSH (with passphrases, but private keys seem to have some issues) and HTTP, cloning, stage, unstage, commit, push and pull; create, delete and merge branches; and it also has a graphical log viewer and can show diffs. MGit is the successor of SGit, and it works very well for me. unfortunately, I was forced to pull the application after some recent policy changes on the Play Store that required publishers to have their address displayed on the application's store page. The app cannot push to a remote or make local commits yet - this is planned for a future update. This is a pure C implementation that claims to be highly portable. And the project also describes how to compile the sources for android platform. Now what needs to be done is to write a JNI binding for it. Even an executable binary would be sufficient in some cases. As an alternative, if one's purely interested in read operations from a repository, this protocol can be implemented over HTTP. There is also a smart protocol which depends on ssh and does differential transfers. Using just the core package from its sources. All the javax. * dependencies and other incompatible/alien classes will needed to be replaced with android alternatives though. But worth the effort if a pure Java implementation can be ported to android. Well you likely want to define an interface for your synchronization needs. You implement this interface in C for both desktop and android device (with the help of the NDK) by making the implementation use git (native). Then, for the Android app, you code a JNI layer on top so that it exposes the interface to Java. The tricky part would be to have the different git commands compile for Android: you'll have to rewrite makefiles. Try SGit, it can commit & push over SSH with pssphrase-less keys and it is available on F-Droid. It is built on top of JGit. 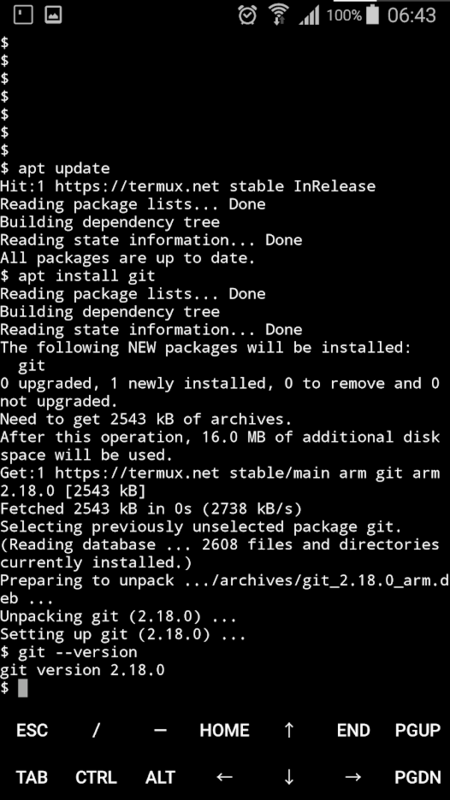 It is not perfect (yet) and JGit implementation is not as good as original Git, but looks usable. One more option is CubeGit. We have released CubeGit on Google Play a few days ago. It is an interface to a cross compiled git binary and also supports local commits and push via ssh/http/https. Not the answer you're looking for? Browse other questions tagged android git synchronization or ask your own question.